Attention everyone who has a beard! There is now a swimming cap that covers your head and your whole face. 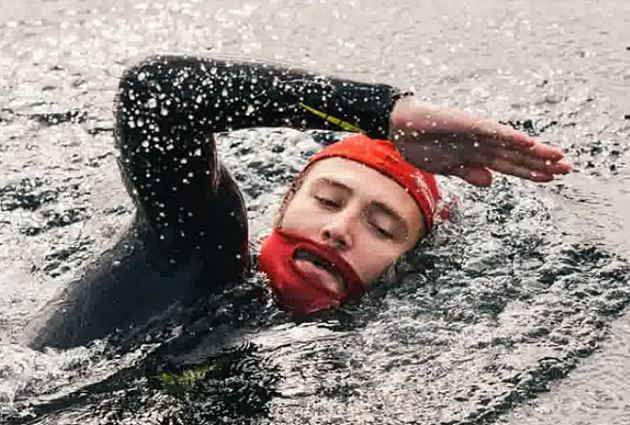 Now your beard can stay in tack while you swim. If you like looking like a dork at the same time! HAA UK train operating company, Virgin Trains, has teamed up with Great North Swim. It is the UK's biggest water swimming event. The developed the prototype Lycra cap so that the can try to eliminate facial hair shedding. Most men think that their facial hair gets in the way when they swim and they loose to much of it. If you have a beard, you will understand. You will also understand that it is hard to grow a beard for some people. The new beard cap is here to help with all of that.